Cool and floaty fabrics are what the Boho trend is all about. A Boho dress is perfect for BBQs, alfresco dining and warm summers, so it is no wonder it is so popular. Depending on the fabric and cut the Boho style suits most body shapes and ages. The Boho trend is all about cool floaty dresses perfect for BBQs, alfresco dining and the warm summers. 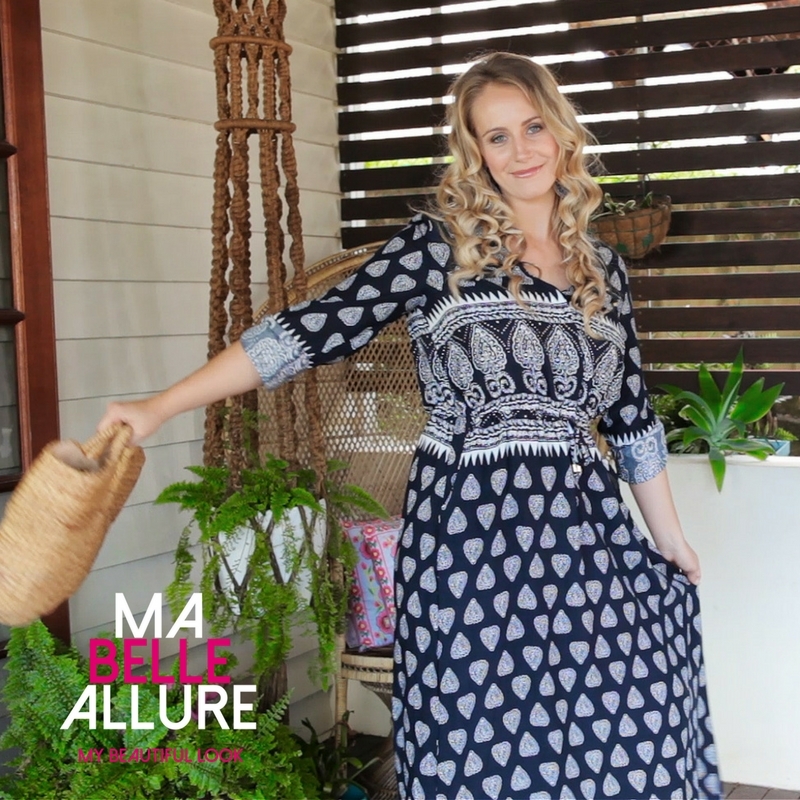 This Boho maxi from SFH Designs in Brisbane is a great style if you have a larger bust area. The lighter pattern around the centre emphasises your waist. Rolling up the sleeves, having them finish at a similar height to your waist also flatters your body shape. I think the boho dress looks great with natural accessories. A great woven straw bag and hat once again diverts the eye away from your bust area. The neutral gladiator heel just works with this look and will elongates your leg. I have accessorised the look further with oversized earrings in silver and blue tones which ties the whole look together. This look will suit women of all ages. The same Boho dress overwhelmed the inverted triangle. So instead, I styled Cara in a gorgeous strapless navy blue Boho dress also from SFH Designs in Brisbane. The frill over the bust area and shirring around the waist creates curves, while falling softly over your hips. Once again a neutral leather heel looks great with the Boho style and makes you look taller. You can have fun accessorising this style. Add a bright, pompom, embroided clutch, which will add width to your hips and thighs and balance your proportions. Wearing your hair up shows off the great long, navy, tassel earring and creates height and lengthens your neck. I have created two beautiful boho looks. 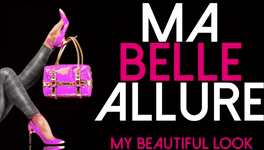 I hope I have inspired you to create your own beautiful look.